Thanks for taking the time to stop by. Not only do I want to make sure you get some amazing photos, I want to see you having a great time doing it! By now you've seen my work (Who the heck reads the biography page first, right? ), you're still here, and it's time for the next step. So let's take a few minutes to chat and get to know each other: what your expectations are, what you're looking for, and how we can work together to achieve those goals. Click HERE and let's get the ball rolling. Please don't be afraid to say hi! 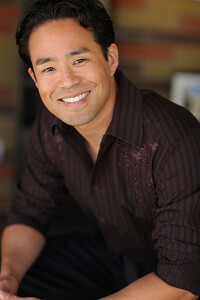 Michael Regala is a San Diego-based photographer specializing in wedding, commercial, and lifestyle images. As an Asian-American, Mike defies the stereotype: he's a reasonably good driver and he doesn't eat anything with the head still attached. But boy does he love photography! It all began in high school, armed with his father's old Nikon 35mm film camera, a black & white film class, and a lot of crappy pictures. A lot has changed since then. Mike is now taller, for instance. He has also worked with a wide range of designers, publications, and agencies in Southern California, as well as speaking and teaching about photography through various organizations including MoPA, UCSD, and SmugMug, Some of his pictures are actually pretty okay nowadays, when he can remember to remove the lens cap. Wedding coverage starts under $1500, with awesome packages starting at just $2600. Please fill out the contact form or just email us for additional package and a la carte information. Add another layer of creativity to your photography and learn to use your speedlights off camera! Intensive workshop starts January 2019, click here for info.